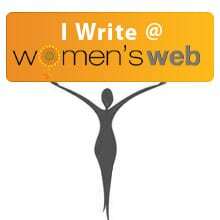 We Are The world Blogfest #WATWB is going from strength to strength and we appreciate all the shares and love it is generating. Each month we spread love, light and positive stories to make this world a more positive and happier place. In Darkness, Be Light is slowly but surely becoming a reality. #WATWB ~ WE ARE THE WORLD BLOGFEST celebrates the goodness and selflessness that surrounds us as against the negativity and angst most often seen on social media. A wonderful initiative started in Gurugram, India is about sharing food for the needy and it works for all of us. Here’s to many more #AnyTimeFood drives. “The community food project, titled Any Time Food (ATF), is the product of collaboration between Kadam, a social responsibility group of Fresco Apartments and Lioness Club Sampoorna, Suncity, Gurgaon. The refrigerator is left at the main gate of the society and residents are encouraged to leave food packets for the needy. The food service is available 24×7. Residents are also encouraged to pack and leave leftover or surplus food items from parties, get-togethers and other events so that they could be used to satiate the hunger pangs of the needy. Our co-hosts this month are Michelle Wallace, Peter Nena, Emerald Barnes, Andrea Michaels, Shilpa Garg. Please visit them and share some love. 4. Place the WE ARE THE WORLD Badge on your sidebar and help us spread the word on social media. Tweets, Facebook shares, G+ shares using the #WATWB hashtag through the month most welcome. More Blogfest signups mean more friends, love and light for all of us. This is such a fantastic initiative. It is so amazing that we have such a project running smoothly closer home. Thanks for sharing, Inderpreet! This is so lovely! I think a similar initiative is done in Kerala, if I am not mistaken. I am always appalled at the wastage of food and at the extremes of poverty seen in our country. I do hope this method of food distribution takes off in a big way and more people can benefit from it. Such a beautiful gesture and thank you for showcasing it, Indy! A wonderful initiative that needs to be replicated all over the country. Thank you for sharing this positive piece of information. What a great idea that could work in many communities. Thanks for sharing. This is terrific. This should be duplicated in all the Indian cities! Its a fantastic concept and am surprised and happy to see it up and running in my city, in my colony. Though I havent put in anything there yet as we do a lot within our own society here for the needy plus the maid gets all the leftovers/surplus food – the initiative is heartening to see. And yes there is always something in it, whenver I pass it by I peek in! A very thoughtful and kind act. Not only fights off hunger but also saves the environment. Thank you for sharing it with us. This is such a great initiative. I wish other residential societies elsewhere in India also find a way to replicate it for their communities. Thanks for writing about them. This is really a wonderful initiative. This not just helps the needy and the hungry to fill their bellies, but the food doesn’t go waste either.